JCAP’s high-throughput experimentation team together with scientists from Stanford Synchrontron Radiation Lab develop a strategy to enable structure-property mapping ofpromising light absorbers. Reprinted with permission fromSuram, S. K., Newhouse, P. F. and Gregoire, J. M. High Throughput Light Absorber Discovery, Part 1: An Algorithm for Automated Tauc Analysis. ACS Combinatorial Science, DOI: 10.1021/acscombsci.6b00053 (2016). Copyright ACS (2016). a) True-positive, true-negative, false-positive and false-negative percentages for the automated algorithm’s ability to identify a band gap given the presence/absence of a band gap as per the majority consensus of three expert scientists as ground truth. b) Comparison of band gap energies estimated by expert scientists and by the automated algorithm for the 48 true-positive samples. Discovery of new materials with specific optical properties is needed to realize the promise of generating renewable energy from sunlight, carbon dioxide, and water. JCAP’s high-throughput experimentation and theory research team has been hard at work on identify highly functional photoabsorbers, with tremendous progress made in advancing the understanding of structure-property relationships of these materials. The ability to map structure-property relationships is very important because it leads to accelerated discovery and understanding of materials that meet well-defined criteria, such as band gap energy in visible to near-UV range for efficient utilization of solar radiation. One of the daunting tasks in combinatorial material science is to be able to rapidly and reliably map the optical properties of new materials at sufficiently high throughput. As described in Part 1 of the ACS Combinatorial Science manuscript, the JCAP team has successfully addressed this challenge by developing an analysis methodology for rapid estimation of band gap energies and demonstrating its accuracy using several well-known metal oxides: a-Fe2O3, a-Cu2V2O7 and monoclinic-BiVO4. The automated algorithm mimics the reasoning of expert scientists to generate band gap data with excellent reproduction of know results, with exceptional reproducibility, and with unprecedented speed. Part 2 of the manuscript describes a comprehensive workflow for light absorber discovery that was achieved by integrating the algorithm from Part 1 with JCAP’s high throughput sputter synthesis, optical screening, and synchrotron XRD characterization(collaboration with SSRL) of new metal oxides. The workflow was applied to materials of the form BiaVbFecOd and the structure. Band-gap mapping revealed a direct band gap of 2.7 eV for Bi4V1.5Fe0.5O10.5 thin-film quaternary oxide – a promising optical and photoelectrochemical material. Reprinted with permission from Suram, S. K., Newhouse, P. F., Zhou, L., Van Campen, D. G., Mehta, A. & Gregoire, J. M. High Throughput Light Absorber Discovery, Part 2: Establishing Structure-Band Gap Energy Relationships. ACS Combinatorial Science, DOI: 10.1021/acscombsci.6b00054 (2016). Copyright ACS (2016). (Left) White-light illuminated image of the sputter-deposited (Bi-V-Fe)Ox composition library. (Right) The composition map of the direct-allowed band gap energy is shown for the (Bi-VFe)Ox library. The conclusion from these studies is that the JCAP approach allows for rapid mapping of band-gaps in relatively unexplored materials and the data generated from these experiments can then be used for the development of the predictive materials theory and informatics efforts, as envisioned by the Materials Genome Initiative. This work is performed by the Joint Center for Artificial Photosynthesis, a DOE Energy Innovation Hub, supported through the Office of Science of the U.S. Department of Energy (Award No. DE-SC0004993). 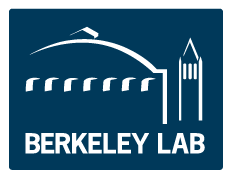 Use of the Stanford Synchrotron Radiation Lightsource, SLAC National Accelerator Laboratory, is supported by the US Department of Energy, Office of Science, Office of Basic Energy Sciences under Contract No. DE-AC02-76SF00515. 1. (a) Yan, Q., Li, G., Newhouse, P. F., Yu, J., Persson, K. A.; Gregoire, J. M. and Neaton, J. B. Mn2V2O7: An Earth Abundant Light Absorber for Solar Water Splitting. Adv. En. Mater., 5 (8), 1401840, DOI: 10.1002/aenm.201401840 (2015); (b) Zhou, L., Yan, Q., Shinde, A., Guevarra, D., Newhouse, P. F., Becerra-Stasiewicz, N., Chatman, S. M., Haber, J. A., Neaton, J. B., and Gregoire, J. M. High Throughput Discovery of Solar Fuels Photoanodes in the CuO-V2O5 System. Adv. En. Mater., 5 (22), 1500968, DOI: 10.1002/aenm.201500968 (2015). 2. Suram, S. K., Zhou, L.; Becerra-Stasiewicz, N., Kan, K., Jones, R. J. R., Kendrick, B. M. and Gregoire, J. M. Combinatorial thin film composition mapping using three dimensional deposition profiles. Rev. Sci. Instrum., 86 (3), 033904-033904, DOI: 10.1063/1.4914466 (2015). 3. Suram, S. K., Newhouse, P. F. and Gregoire, J. M. High Throughput Light Absorber Discovery, Part 1: An Algorithm for Automated Tauc Analysis. ACS Combinatorial Science, DOI: 10.1021/acscombsci.6b00053 (2016). 4. Suram, S. K., Newhouse, P. F., Zhou, L., Van Campen, D. G., Mehta, A. & Gregoire, J. M. High Throughput Light Absorber Discovery, Part 2: Establishing Structure-Band Gap Energy Relationships. ACS Combinatorial Science, DOI: 10.1021/acscombsci.6b00054 (2016). 5. Mitrovic, S., Cornell, E. W., Marcin, M. R., Jones, R. J., Newhouse, P. F., Suram, S. K., Jin, J. and Gregoire, J. M. High-throughput on-the-fly scanning ultraviolet-visible dual-sphere spectrometer. Rev. Sci. Instrum. 86 (1), 013904, DOI: 10.1063/1.4905365 (2015). 6. Gregoire, J. M., Van Campen, D. G., Miller, C. E., Jones, R., Suram, S. K., and Mehta, A. High Throughput Synchrotron X-ray Diffraction for Combinatorial Phase Mapping. J. Synchr. Rad., 21 (6), 1262-1268, DOI: 10.1107/s1600577514016488 (2014).